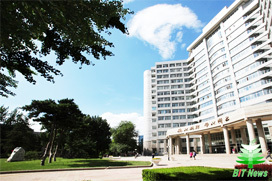 An open, public, research-oriented university with a focus on science and technology, Beijing Institute of Technology is one of the key universities in China. BIT is now under the supervision of the Ministry of Industry and Information Technology. 10th university to enter the 985 Project, which started in order to develop 39 Chinese universities that would seek to become world renowned universities. One of the first 15 universities to join 211 Project, which established roughly 100 universities to cope with the challenges of the 21st century. Annual research fund to the university in 2011 amounts to 160 million Euros, ranking in the top 10 in China. Received more than 130 national awards of science and technology over the past 30 years, ranking among the top 10 in China. According to the first national program evaluation from 2002 to 2004 by MOE, 1/3 of the programmes in BIT were evaluated as national key programmes. Owing to the university’s state-of-the-art laboratories, Amity China students studying at BIT execute many research projects in the campus. Among the Top Asian Universities released by QS, and ranked as 10th, among the Chinese universities in 2009, 2010 and 2011 out of 3000 odd universities. Ranked as 8th among the Chinese universities in 2011 by the Research Center of World-class Universities, Higher Education Research Institute of Shanghai Jiaotong University.